Frontier Basement Systems provides expert duct insulation services that will eliminate air loss from the ductwork and keep your ducts at a consistent temperature. This will allow your HVAC system to run more efficiently, saving you money. 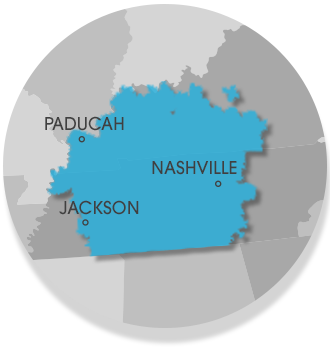 If you're interested in duct insulation for your home, call us today for a free estimate in Clarksville, Nashville, Jackson and the nearby areas! Many homeowners don't realize the impact their ductwork can have on their home's energy efficiency and comfort, but the experts at Frontier Basement Systems can help you be sure you're getting the performance you need from your duct system. If you have problems with high heating and cooling bills or uneven temperatures in the home, our duct insulation services could be the solution you need! Call us today at 1-833-428-2988 or contact us online to have one of our experienced professionals evaluate your ductwork and recommend the right solutions for your needs. We offer free estimates on all our ductwork solutions and attic insulation services in Clarksville, Nashville, Jackson, Owensboro, Murfreesboro, Bowling Green, Philpot, Utica, Fayetteville, Marion and throughout the surrounding areas.